Ahram Online 17 August 2015: Egypt's Minister of Irrigation, Hossam Moghazi, said on Monday that the tripartite committee for Ethiopia's Renaissance Dam will meet on 20 and 21 August in the Ethiopian capital Addis Ababa, Al-Ahram Arabic news website reported. The committee will discuss the latest developments regarding the undelivered foreign consultancy firms' report on the dam. 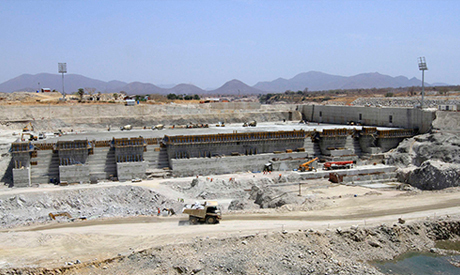 The tripartite committee, which includes representatives and experts from Egypt, Ethiopia and Sudan, are set to meet to set a new dealine for the French BRL group and Dutch Deltares consultancy firm to complete their report, following their failure to meet their previous deadline on the impact of the dam last Wednesday. Alaa Yassin, advisor to the Egyptian minister of water resources and irrigation, told Ahram Online that a deadline for the consultancy firms to submit their reports to the committee would be...read on.